To view scientific papers discussing the medical and health applications of qigong treatment and self-practice, click here. Clinical qigong healing, also known as "medical qigong", occurs when a well skilled practitioner with a purity of heart emits chi externally into the client's physical body from a distance of at least several inches away. If necessary, the qigong practitioner will treat a client from significantly greater distances such as across towns or from one state to another, or even on the other side of the world. During the external chi transmission process, the qigong healer directs the chi to clear blockages in, and remove stagnant chi from, the individual's physical anatomy and meridian/energy system to restore proper chi flow throughout. 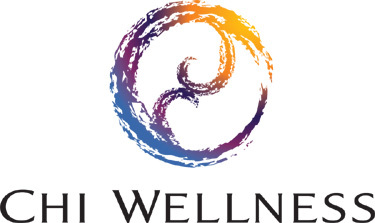 Through specific direction to the chi being emitted into the body, perfect functional balance and harmony within and among the energy system and each physiological system within the body.is achieved, and optimal, dis-ease free wellness ultimately results. Effective qigong treatment includes teaching the participate self-healing exercises and practices that support the body's natural abilities to cultivate chi and heal. It is a qigong healer's desire that every client, through disciplined engagement in treatment and self-practice, achieves a state of health that requires only self-management for the remainder of his or her lifetime. Qigong treatment for people and animals is provided in the comfort and privacy of the Chi Wellness Denver center which is wheelchair accessible. In most cases, a treatment session will take between 1.5 and 2 hours, however, it is not unusual for initial treatment addressing a longstanding, chronic health condition to take as long as 3 hours. 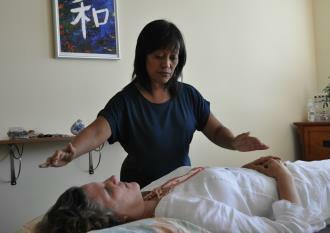 To maximize the treatment's clinical benefits, and as long as the client is physically and mentally able, treatment will always include teaching self-care exercises and practices that the client is expected to do on his/her own between treatment sessions, and a client's attendance of Chi Wellness's qigong educational programs is highly recommended. My sister-in-law and I are deeply grateful to Debra for helping to bring my nephew back into the light from his several addictions, including drugs. Now, 6 months later, he is drug-free, healthy and rebuilding his life. Debra is a powerful, qigong healer, and her work helped my nephew clear blockages so he could take more control over his actions, emotions, thinking and life. After my qigong session, I felt such peace and relaxation, plus a renewed, strong sense of vitality. My son, who had suffered a traumatic injury, has benefitted greatly. His treatments have been in person, and remotely, and each is equally beneficial and successful. He has experienced great improvement in his clarity of thought, his lessening of pain, and his brightening of emotion and outlook. Barrer enjoys a full quality of life today because of qigong treatment. She had been diagnosed with a very aggressive canine lymphoma and the oncologist told us she had never seen a dog with this kind of cancer ever go into remission despite a full regimen of chemotherapy. She was given 6 to 8 months to live and that's if she were treated with chemotherapy every single week. We started an assertive protocol of medical qigong care including a healing diet with medicinal mushrooms and immune support, and minimal gentle chemotherapy. In less than 3 weeks, Barrer achieved complete remission. The veterinarians were shocked but pleased with the phenomenal result. The qigong treatments unleashed the miracle of Barrer's natural healing abilities and Barrer lived beyond what's typically possible for her breed. In her geriatic age, she had the energy and stamina of a 2 year old. In her lifetime, Barrer was a national teaching model in veterinary medicine.